Ever wondered what the Justice League would be like if they existed in a Dungeons & Dragons campaign setting? 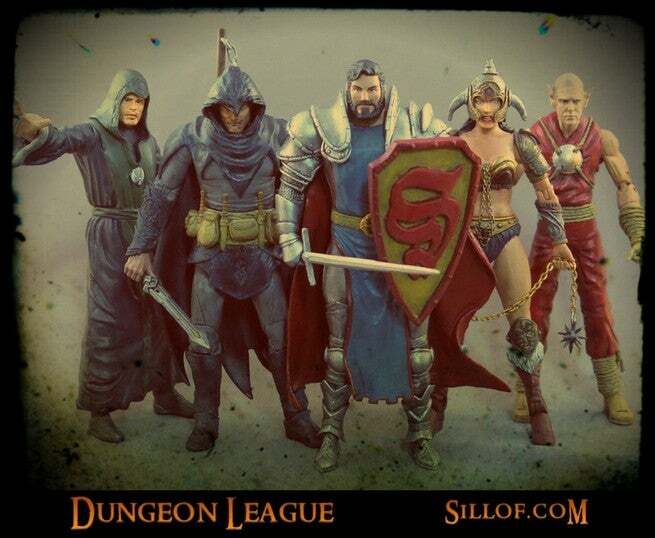 Action figure artist Sillof did, and so he created the Dungeon League. Anyone who has ever played a role-playing game in their childhood probably at some point imagined what some of their favorite characters from television, film, comics, and literature would look like inside the medieval fantasy world of their chosen RPG, I know I did. I spent house imagining what race and class each of them would be. Recently I decided to indulge my childhood fantasies and make some of those characters. While this is not a unique endeavor and it has been done by others before in various ways I think they are still unique and I hope you enjoy them. Check out Sillof’s Dungeon League in the gallery below.